Wolman was born, grew up, was educated, lived and died in Baltimore, Maryland. He graduated from the Baltimore City College in 1909, and received a B.A. in 1913 and a B.S. in engineering in 1915, both from the Johns Hopkins University. From 1914 to 1939, Wolman worked for the Maryland State Department of Health, serving as Chief Engineer from 1922 to 1939. It was during his early years there that he made his most important contribution. Working in cooperation with chemist Linn Enslow, he standardized the methods used to chlorinate Baltimore's drinking-water supply. His efforts there helped develop the plan for Baltimore's water supply so thoroughly and effectively that it remains well-provided for growth through the 21st century. His work also benefited water systems in New York, Detroit and Columbus, Ohio. A collection of his writings has been published: Water, Health and Society, Selected Papers. Wolman served as the Chairman of the Advisory Council for planning Israel's National Water Carrier project (1950-1956). Wolman taught for many years on the faculty of Johns Hopkins University, where he established the Department of Sanitary Engineering in 1937. He served as the department's chairman until his official retirement in 1962. In May, 1966 the university named a newly acquired dormitory Wolman Hall, which continues to house first year students, in his honor. Wolman became Editor of the American Water Works Association's Journal AWWA in 1919 and was responsible for making it into a monthly publication in 1924. The Association presents the Abel Wolman Award of Excellence each year to recognize those whose careers in the water works industry exemplify vision, creativity, and excellent professional performance characteristic of Wolman's long and productive career. 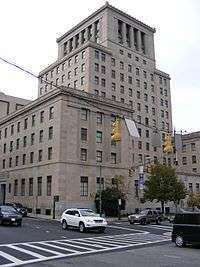 In 1986, the City of Baltimore renamed its public works building, the Abel Wolman Municipal Building, honoring his years of service to the city. Today, the Abel Wolman building is where citizens of Baltimore come to pay their property taxes, parking fines and metered water bills. Wolman's son, M. Gordon "Reds" Wolman, was an eminent geomorphologist who was also on the faculty of Johns Hopkins University. M. Gordon Wolman was a member of the National Academy of Sciences and an expert on water resources, public health, and geography. Reds was the founder and for 20 years the Chairman of the Department of Geography and Environmental Engineering at the Johns Hopkins University. He was also known for inventing a technique for evaluating grain-size distribution in riverbeds, known as the Wolman Pebble Count, which has helped geomorphologist to understand flooding, sedimentation, and other physical impacts to a stream. ↑ Okun, Daniel A. (January 1971), White, Gilbert F., ed., "Water, Health and Society, Selected Papers by Abel Wolman", The American Journal of Tropical Medicine and Hygiene, 20: 165–166, retrieved 2013-02-17. 1 2 Reds Wolman: From cows to pebble counts, Geotimes, May 2004. ↑ "Archived copy". Archived from the original on 2010-06-05. Retrieved 2010-02-26.